The processing power offered by "hypothetical, future" quantum computers could be enough to “decrypt any internet communication that was recorded today,” wrote Matt Braithwaite, a Google software engineer in a company blog post on Thursday. The quantum computers available today, however, are still small and experimental, but the tech industry has been moving closer to making them a mainstream reality. They represent a leap over current computers, which rely on data represented as 0s and 1s. 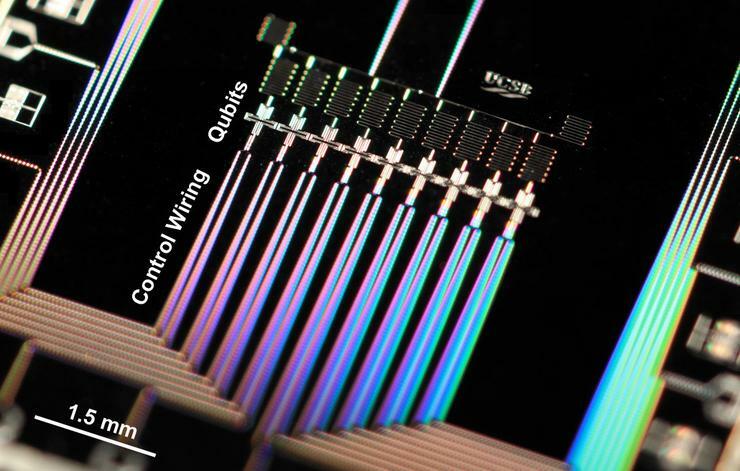 Quantum computers, on the other hand, use qubits that can simultaneously be both 0 and 1, which can help them run far more efficiently. Regardless of when quantum computers arrive, Google still wants to prepare for the security risks posed by them. To future-proof today’s Internet communications, the search giant will deploy what it’s calling “post-quantum cryptography” and will test it using its browser Chrome Canary. The experiment will only cover a small fraction of the connections between the browser and Google’s servers, and be used on top of its current encryption algorithm. In its test, Google is using a cryptography algorithm called “New Hope." However, the test will only last two years, and Google hopes it can replace the algorithm with something better. “The post-quantum algorithm might turn out to be breakable even with today's computer,” Braithwaite wrote. “Alternatively, if the post-quantum algorithm turns out to be secure then it'll protect the connection even against a future, quantum computer." Users of Chrome Canary can tell if the post-quantum algorithm is in use by checking the browser's security panel and looking for "CECPQ1" in the key exchange.